Kitarablogi.com reviewed the guitar-specific TOOB models 12J and 12R back in April. At that time no bass version – the 12B – was available for testing, but now we got our chance to do a review of this model, too. In case you haven’t yet read the previous TOOB review, let me run the basic features by you again. Finnish inventor/ guitarist Markku Pietinen has come up with what I regard as one of the coolest new ideas in the field of speaker cabinets – the TOOB. 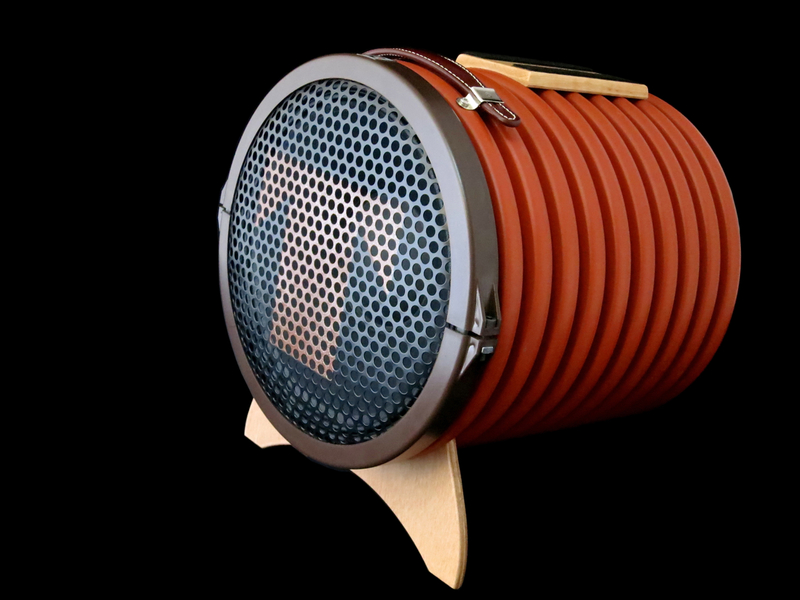 The TOOB is an ultralight speaker cabinet conceived especially for the musician on the move. The TOOB’s cabinet consists of a length of Uponor IQ drainage pipe. 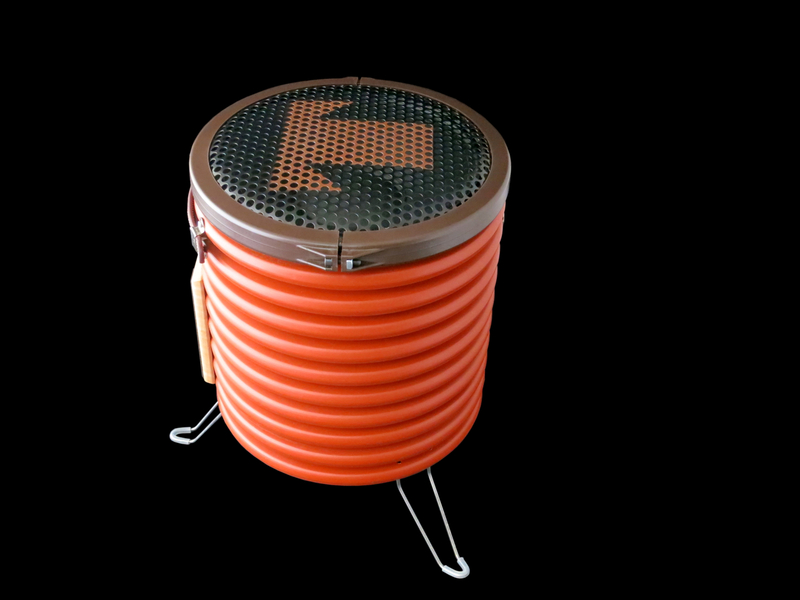 This is an extremely lightweight and strong corrugated tube made from double-walled polypropylene. The mounting rims are a proprietary design, injection moulded from ABS plastic specifically for use in the TOOB cabinets. 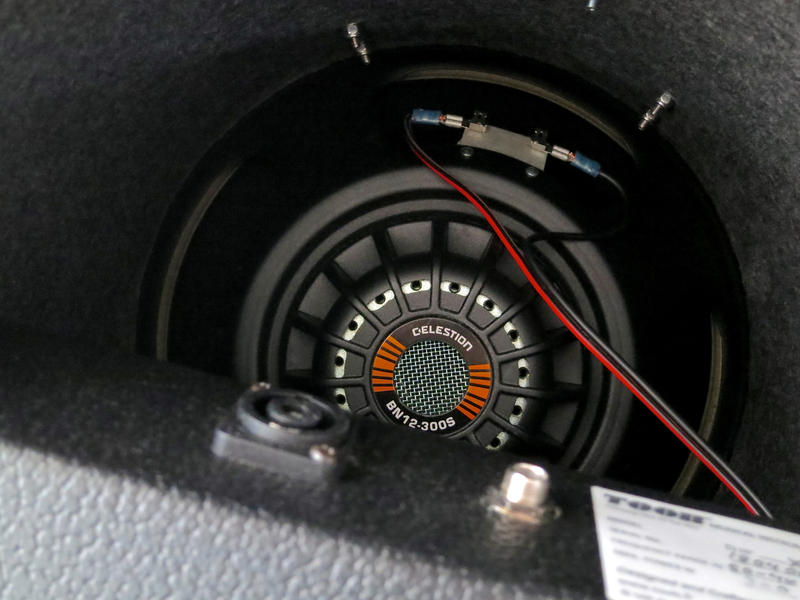 There are two guitar speaker versions available – the 12J and the 12R – which both come loaded with 12″ Jensen speakers, alongside the TOOB 12B bass cabinet that sports a Celestion BN12-300S. 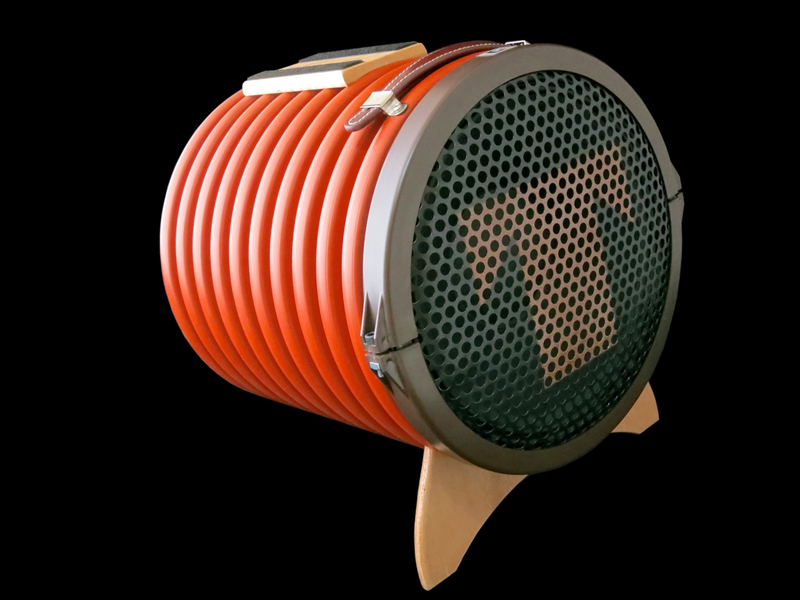 The TOOB 12B (current RRP in Finland: 499 €) weighs only 4.6 kg and offers power handling of up to 300 watts at 8 ohms. Standard colours for all TOOBs are black and cinnamon (as reviewed), but you can also order custom options with a painted or covered veneer overlay. All TOOBs come with metal clip-on legs as standard, or you can get an optional magnetic plywood foot, as used on our review sample. I’ve also heard rumours that the company is currently working on an adjustable cradle stand, tentatively called the TILTA. The bass version comes with an additional set of clip-on legs should you want to place your 12B in an upright position. This position results in a different kind of sound dispersal, often preferred by double bass players, in addition to taking up even less space on stage. I’d strongly suggest you try both styles of placement. The 12B offers both a Speakon connector and a phone jack as inputs. As the inputs are wired in parallel, you can also use the second connector to daisy chain two TOOBs to a single amp. The bass model also offers an additional tone shaping feature in the shape of the TOOB Tone Cushion. The cushion is velcroed to the inside of the TOOB, and can be removed or squeezed to give open-back or half-open tonalities. My personal preference was the closed setting, but you should definitely experiment with the Tone Cushion to find your favourite set-up. I got to test drive the TOOB 12B with two micro-amps – a Trace Elliot Elf and a Gallien-Krueger MB200 – which can be handily velcroed to the cabinet’s small wooden table. The sound quality, sound dispersion and power handling of the bass-TOOB are nothing short of impressive. Yes, you can get the speaker to distort by driving the cabinet at silly levels, but for the types of bands and gigs it has been designed for, you’d be hard pressed to find a better ultra-compact solution than the 12B. In my opinion the TOOB’s bass version is best suited for Jazz and Lounge groups, as well as Pop/Rock gigs in (very) small venues (like the pub on the corner). 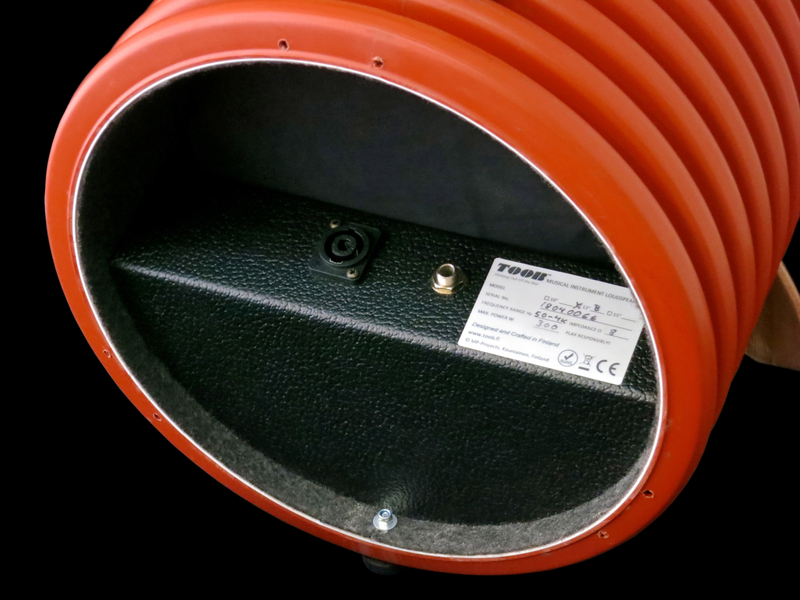 The TOOB 12B is also ideal as a cabinet for acoustic bass guitars in ”unplugged” bands.